This video covers the key decision points any dentist or businessperson should understand if they ever wish to sell their dental practice. This video examines the important aspects of purchasing a dental practice that any dentist or businessperson needs to consider before making this once-in-a-lifetime financial decision. 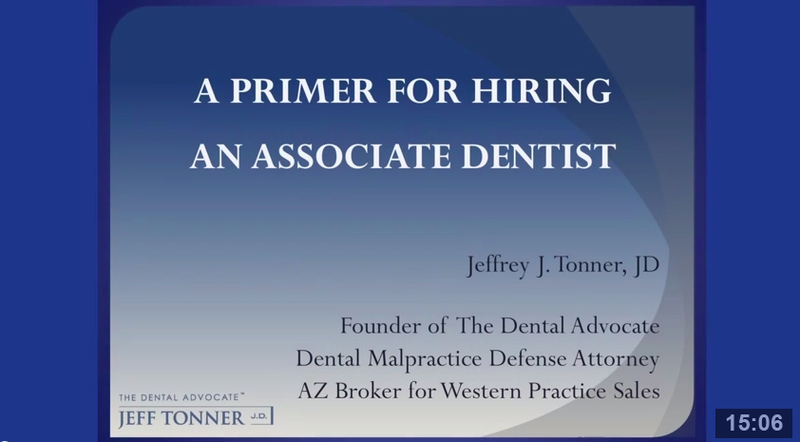 This video discusses the critical elements every dentist needs to consider before hiring an associate including pay, important contract provisions, and much more. 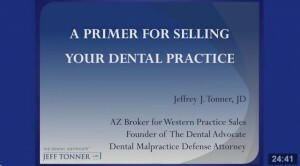 This in-depth seminar provides of comprehensive review of the many critical elements every dentist should take in order to insulate his or her dental practice from potential malpractice suits, dental board claims, and patient refund demands. 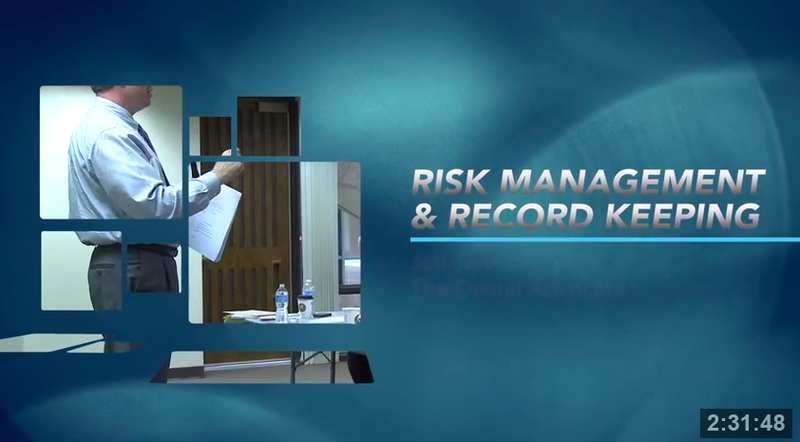 Our risk management seminar is intended to count toward 3 hours of a dentist’s continuing education requirement (certificate provided at completion). The most-common dental-legal entanglement is a patient refund request. Although seemingly simple on its face, several factors must be considered. Do you involve your malpractice carrier? Can you pay it yourself? Will payment trigger involvement with the National Practitioner Data Bank or dental board? Will it affect your future insurance rates? 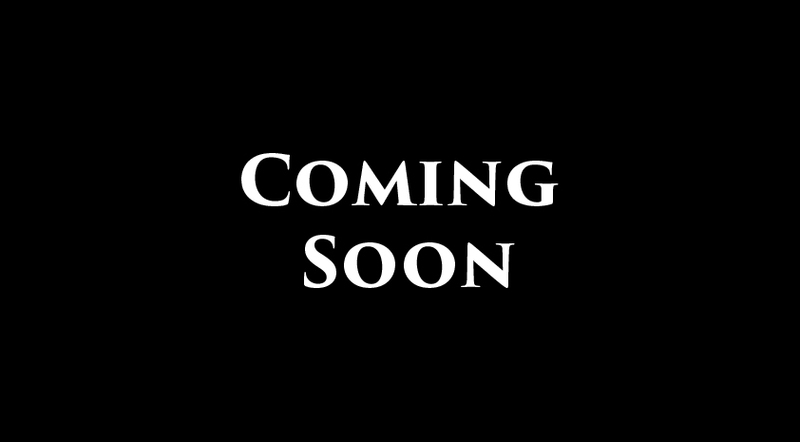 Included with this video are a checklist (3 pages outlining ten considerations) and a “Refund of Money and Release of Liability” form (2 pages). Especially in this area, a little advance planning pays large dividends later. Considerations include: is he or she quitting or being fired; any severance pay; changing the locks and denying remote computer access; no letter of recommendation; and much more. A three-page checklist is included. Dentists lose millions of dollars annually to in-house theft. Learn the most common way employees steal and safeguards to protect your practice from this all-to-common crime. Most terms are negotiated between the landlord and the dentist before an attorney drafts the lease. It is difficult to change key items after a handshake and before the paper is signed. Learn what key items to both include and avoid for short-term and long-range planning. If you suddenly become disabled, is anyone available to temporarily cover your practice? Dentists often ban together in “cross-coverage” groups to work for each other during times of crisis. Learn what main provisions must be understood by all participants. Included is a “Cross-Coverage Agreement” (10 pages). 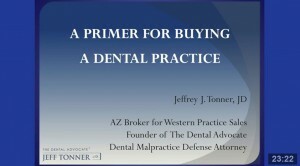 If a serious injury occurs to the dentist/owner, can the practice survive until sold? Most spouses or significant others have no clue how to proceed in these circumstances. Who has the legal power to make decisions, cash checks, pay the staff, etc? Do you have powers of attorney in place to allows others to hire an associate and continue the practice? Every dental-office, hygiene department faces this questions. If a patient needs scaling and planing, but only authorizes a prophy, under what circumstances can you proceed? Included are a progress-note template and an “Explanation of Gum Disease and Associate Health Risks” form.